The end of the Fishing Season is upon us. How do you plan to spend these long & miserable fishless Winter evenings? 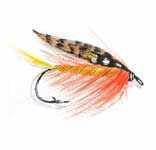 Why not get together with some like-minded individuals for an evening of fly tying and fly-fishing crack? 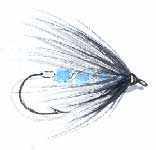 Starting at 7:00pm on Tuesday 5th November, courtesy of Caithness Community Education, we will hold a weekly fly tying evening which will be open to beginners and experts alike. The evening will be quite informal and tuition will be available for beginners and all other levels on that basis. Why not come along just for the crack? You don’t have to tie flies to enjoy the evening! We will also present some video evenings, and perhaps later some invited guests, such as Stan Headley, to demonstrate the craft. The venue will be the Thurso Community Education Offices to the rear of the Miller Academy, Princes Street, Thurso. We are in a position to provide a limited amount of equipment and materials but you would be expected to provide your own as the weeks go on so, if you have any of your own, bring it along! For further information, contact Neil MacDonald on 01847-896956 or Hugo Ross on 01955-604200 or Chris Connolly at Caithness Community Education Dept. on 01847-895782.